The red flag across the up main line gives the game away as to what is happening here. 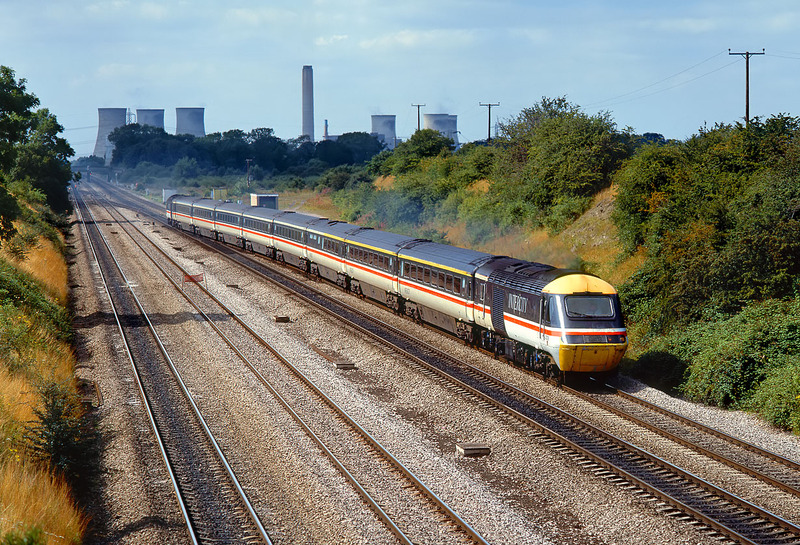 With the main line closed for Sunday engineering work, 43006 has to weave across onto the relief line at South Moreton on 18 August 1991, as it works the 1A46 12:10 Swansea to Paddington InterCity service. 43006 is one of only a handful of the original Western Region allocated power cars that has not spent its entire life on the region. It later moved to the GNER fleet, finally being re-engined and renumbered 43206.